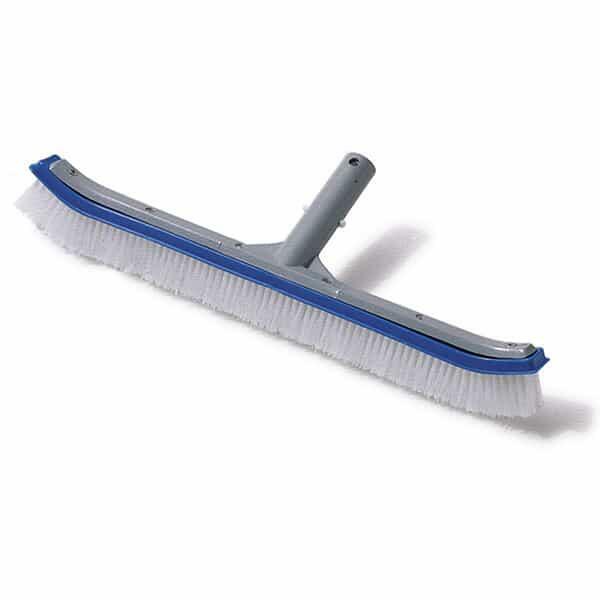 The Aluminum Backed Pool Brush features nylon bristles that help users to easily scrub pool tiles, concrete and other surfaces until they are clean. Attach the curved brush head to a standard swimming pool pole, and let the thick nylon brustles do most of the work for you. Swimline provides a huge line of changeable utility brush heads for special cicrumstances like leaf removal and more. This pool pole head is ideal for removing stands and grime from pool liners.